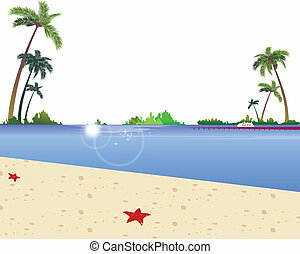 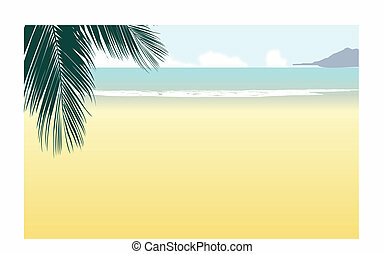 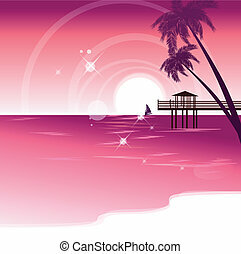 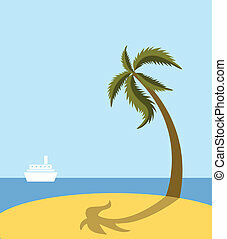 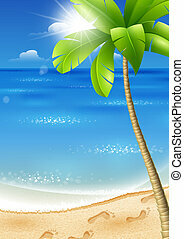 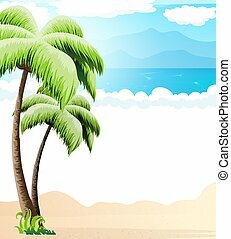 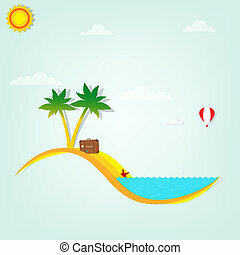 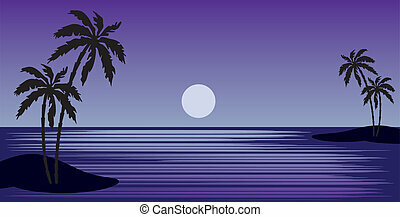 Idyllic beach with palm tree. 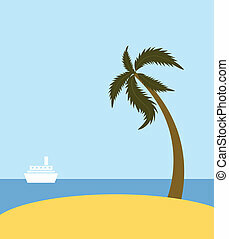 This illustration is a common cityscape. 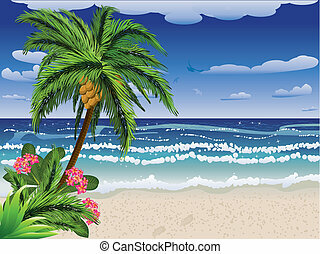 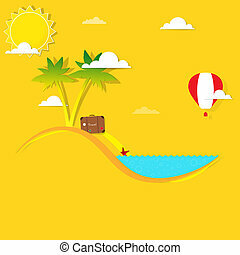 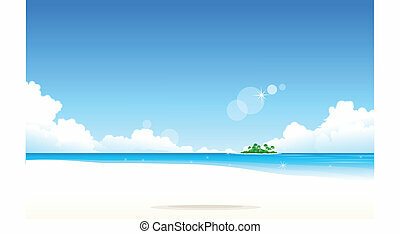 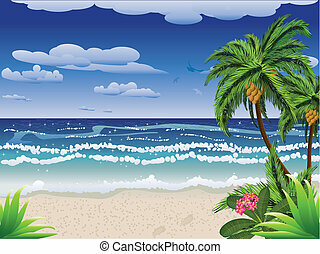 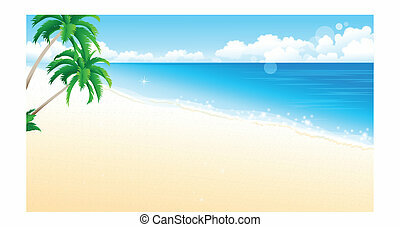 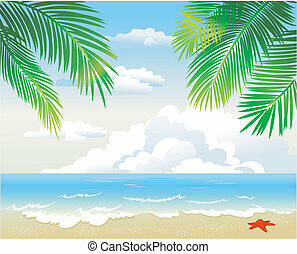 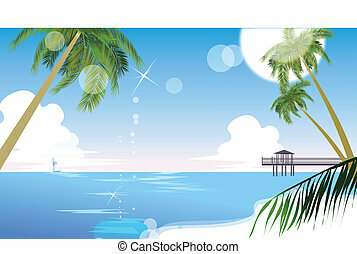 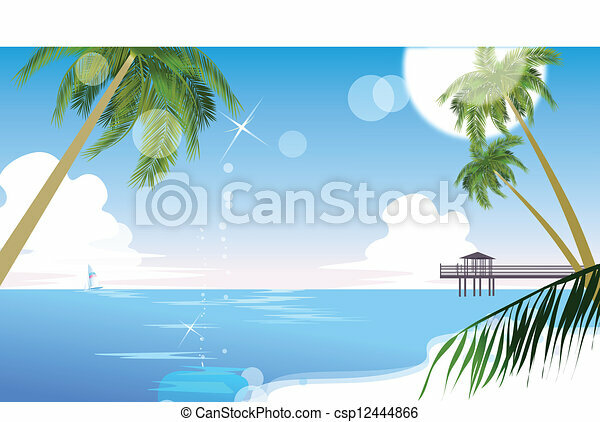 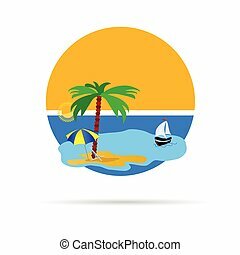 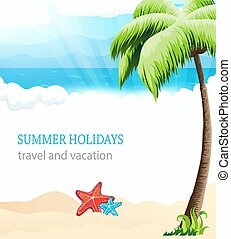 Summer beach with palm tree, flowers and blue sea. 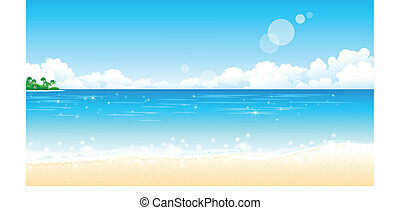 There is a peaceful beach. 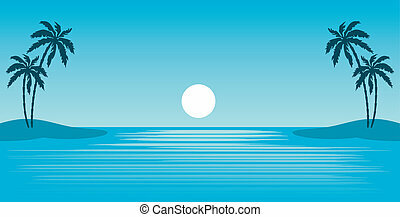 The sun reflects off the water.